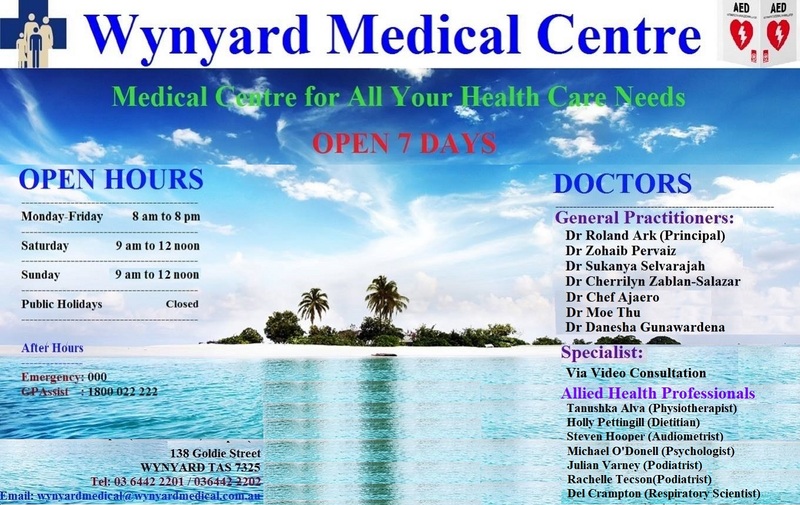 Wynyard Medical Centre is a well established, fully accredited, teaching General Medical Practice located in the center of town, providing a range of high quality medical care to all individuals and families in line with community needs. The practice provides family medicine, as well as conducting some occupational medicine and all doctors have patients in the local accredited nursing home. The Northwest Regional hospital located at Burnie has regular educational meetings and North West Branch of Tasmanian Medicare Local (www.gpnw.com.au) has an excellent evening educational program. In addition there are four annual weekend educational events which cater for families and are always well worth attending. There is a strong rural family support network in Tasmania. 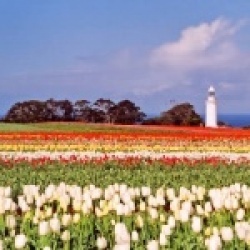 Wynyard Medical Centre is committed to providing comprehensive the best high quality general practice care to all individuals and families within this community and from its surrounding areas as well as visitors. All patient consultations and medical records are kept strictly confidential. All who needs any forms of medical attention are welcome and will be provided with our best professional services appropriately, timely and efficiently. Wynyard Medical Centre was granted full General Practice Accreditation (as per RACGP Standard 4th Edition) on the 12th of August, 2018, which means that we have met the standards set by the Medical Profession. These standards are designed to ensure high quality care is provided in a safe and well organised way. The Royal Australian College of General Practitioners have issued accreditation standards for practice to comply with to ensure quality services are provided. This practice is required to have an on-site visit by an authorised accreditation body every 3 years and internal checks on a on-going and regular basis. The practice is also fully accredited by Rural Clinical School (UTAS) for undergraduate medical student teaching, by ACRRM for John Flynn Scholars, by RACGP for level 1 GP registrar training post and supervisor , by GPTT for PGPPP RMOs training post and supervisor, and by ACRRM for provisional training post and supervisor. All the doctors at this practice have satisfied the training requirements of the Royal Collage of General Practitioners and the Vocational Register of General Practice. This means a commitment to continuing medical education. The practice participates in teaching GP registrars, PGPPP RMOs, Medical Students from the Rural Clinical School and University of Queensland, John Flynn Scholars and Nursing Students. Currently the practice has two 4th years medical students, one PGPPP RMO rotating from North West Regional Hospital and waiting for allocation of a full time GP registrar. Other students and scholars visit the practice on a regular basis as scheduled.